Common Types of Construction Injuries in New York | Work Injuries | New York Personal Injury Lawyer | Silberstein, Awad & Miklos, P.C. Construction sites can be hazardous places to work. 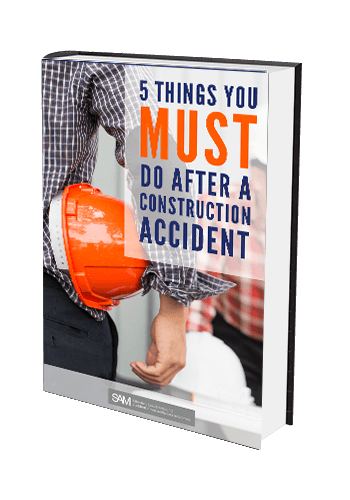 Thousands of construction workers are either injured or killed in construction site accidents each year. There are several common types of construction injuries in New York. If you have been injured in a work accident, it is imperative that you speak with a skilled construction injury accident attorney. Silberstein, Awad & Miklos, P.C. has a long history of applying these safety laws for the benefit of construction workers, obtaining substantial money damages that secure their families’ futures and compensate for the injuries incurred. Our firm has recovered millions of carpenters, electricians, ironworkers, glazers, masons, teamsters, and others hurt at construction sites. We also offer legal representation for workers’ compensation, social security, and disability benefits.